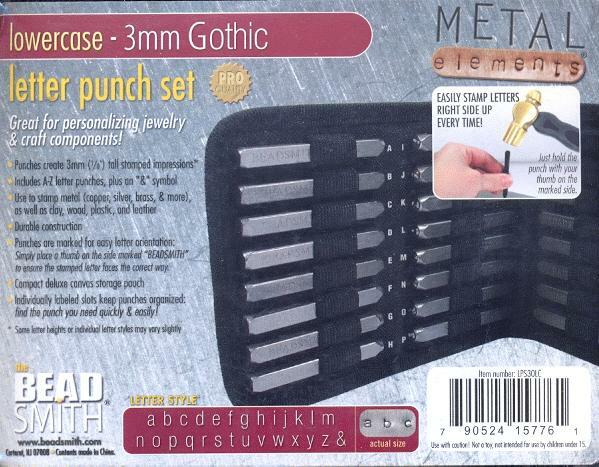 Price listed is for each letter punch set. These are great for stamping onto metal blanks or bases. These punches create 3mm stamped impressions (1/8'' tall). Each set comes in a canvas case that includes 27 punches: letters a through z and also the symbol &. The font style is Gothic and the letters are all in lower case.